Quick overview It was 'Black Tom' Fairfax, not Oliver Cromwell, who created and commanded Parliament's New Model Army during the English Civil War. This is his first biography by a modern academic. -- . 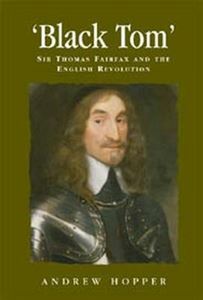 Sir Thomas Fairfax, not Oliver Cromwell, was creator and commander of Parliament's New Model Army from 1645 to1650. Although Fairfax emerged as England's most successful commander of the 1640s, this book challenges the orthodoxy that he was purely a military figure, showing how he was not apolitical or disinterested in politics. The book combines narrative and thematic approaches to explore the wider issues of popular allegiance, puritan religion, concepts of honour, image, reputation, memory, gender, literature, and Fairfax's relationship with Cromwell. 'Black Tom' delivers a groundbreaking examination of the transformative experience of the English revolution from the viewpoint of one of its leading, yet most neglected, participants. It is the first modern academic study of Fairfax, making it essential reading for university students as well as historians of the seventeenth century. Its accessible style will appeal to a wider audience of those interested in the civil wars and interregnum more generally. -- .